After a wet and muddy British Grand Prix weekend at Silverstone, Formula One could see some sort of a pattern emerging in a season that has so far stood out for unpredictability. Ferrari and Red Bull like the look of it but for McLaren, and their world champions Lewis Hamilton and Jenson Button, it is not a pretty sight. 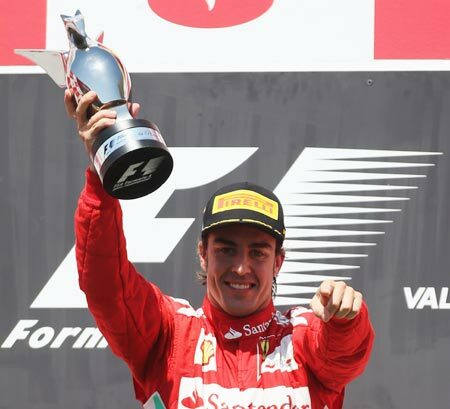 The long-suffering but loyal 125,000-strong crowd on Sunday saw Ferrari's Fernando Alonso start on pole position and Red Bull's Australian Mark Webber take the chequered flag and winner's champagne. At the previous race in Valencia it had been a Red Bull on pole, this time with double world champion Sebastian Vettel at the wheel, while Alonso went on to triumph in front of his home Spanish fans. 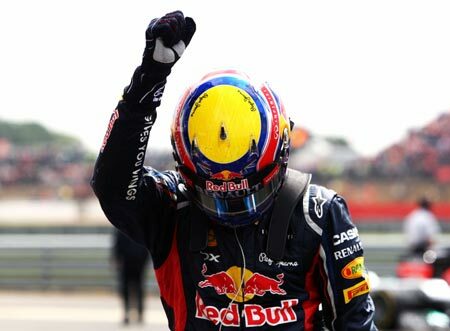 Alonso and Webber are now the only two drivers to have won twice in the nine races so far this year and Silverstone's rain-soaked track handed both their teams their biggest points haul of the season from a single race. 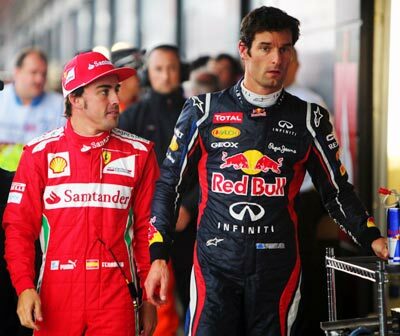 The Spaniard has 129 points to Webber's 116 with Vettel the only other driver with a three figure tally on 100. With three races in quick succession this month - Germany and Hungary are on back-to-back weekends - there is the danger that by the time the teams head into the August break the championship has gone from being wide open to a two-team tussle at the front. McLaren tumbled from second to fourth overall with Hamilton now 37 points adrift of Alonso and behind both Red Bull drivers. "A pattern is sort of starting to emerge but that could be thrown out of the window quite easily at the next race," said ever-cautious Red Bull principal Christian Horner. "I think it's far too early to write off anybody in this championship." That said, Red Bull and Ferrari have been consistent. Alonso has now finished his last 21 races in the points while Webber has suffered only one retirement in the past 12 months and finished in the top four in seven of nine this season. "I'm very proud of the Ferrari recovery in the last few weeks and now we have been fighting for the victory in the last three or four Grands Prix," said Alonso after Sunday's race. "So we're heading in the right direction." Ferrari, celebrating a first pole since 2010 and fourth-placed Brazilian Felipe Massa's best result since that year, appear to be hitting their stride after a sluggish start to the season. Red Bull, who had both their drivers on the podium together for the first time this year, have also figured out how to make their car go faster. "Obviously we got some confidence with our car in Valencia. I think that before then, we'd been finding our way with the new regulations, but I think we understood a little bit more about the RB8 in Valencia, and that has been an on-going process here," declared Webber. 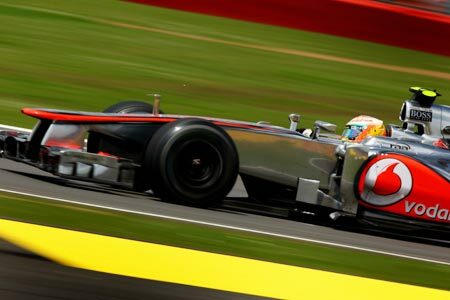 McLaren, winners of the season-opener in Australia with Button, are finding the Pirelli tyres hard to fathom. Hamilton won in Germany last year and Button in Hungary and team principal Martin Whitmarsh was hopeful that upgrades would help the team get back into contention. "Sometimes you learn more from these weekends than the successful ones," he told reporters. "I'm not seriously worried. 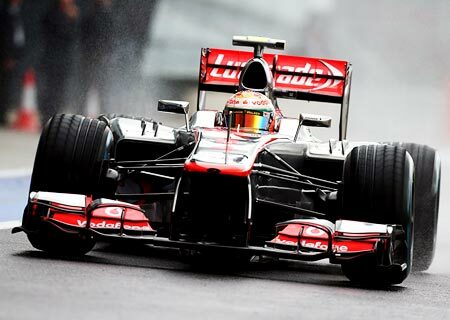 worry doesn't make your car go quicker," added Whitmarsh. "There's no magic, you've got to work on developing the car and understanding the conditions. "It is very tricky to go from being so strong in the first stint on one set of prime (tyres)...and about 15 minutes later you put them on again and they feel different. they respond differently yet you set the same pressures and temperatures."